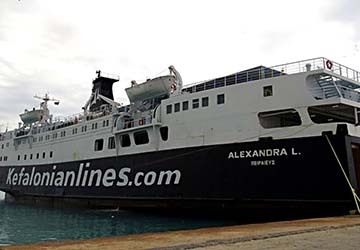 Kefalonian Lines run ferry services to and from the Islands of Kefalonia and Zakynthos. Kefalonian Lines began operations in 2013 serves as a bridge to the mainland for tourists and locals. The ferry service utilizes the ferry Nissos Kefalonia, which according to the ferry company is a popular ship among Kefalonians! 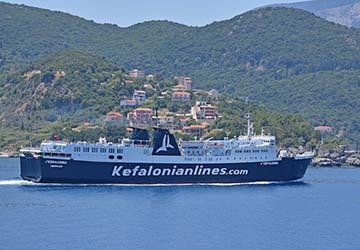 With directferries.com you can find Kefalonian Lines timetables, fares and book Kefalonian Lines ferry tickets. Where applicable we’ll also compare Kefalonian Lines with alternative ferry companies.